Today would be my grandmother Pearl Reed Cleage’s 127th birthday. She was born in 1886 in Lebanon, KY and died in 1982 at the age of 96 in Idlewild, Michigan. Here is a photograph taken in 1929, on the side of the house on Scotten Ave. in Detroit. My grandmother was 43. Anna was 5 and Gladys was 7. Beautiful photo! I love your grandmother’s expression. She has amazingly kind eyes. Love the photos ans story. 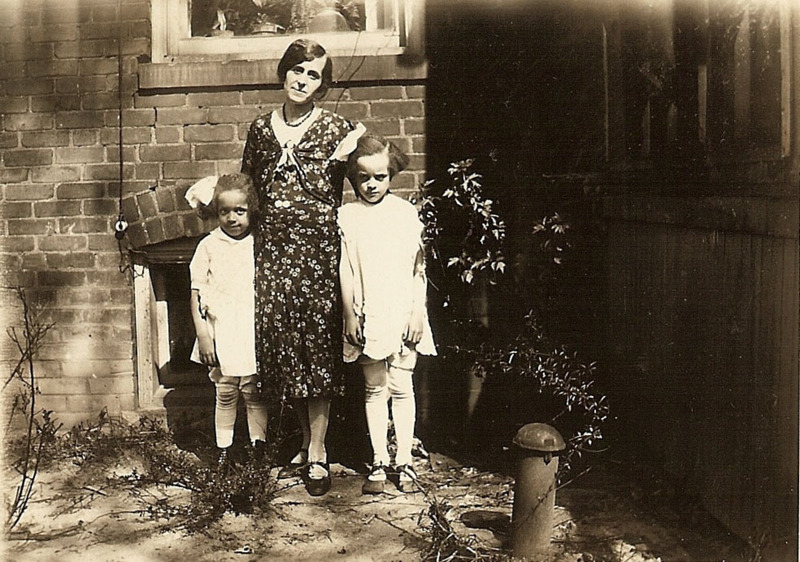 Did your grandmother ever talk about her life growing up and her family? Yes, she did talk some about growing up. My father and his siblings knew their mother’s family so I have stories from them and from cousins.